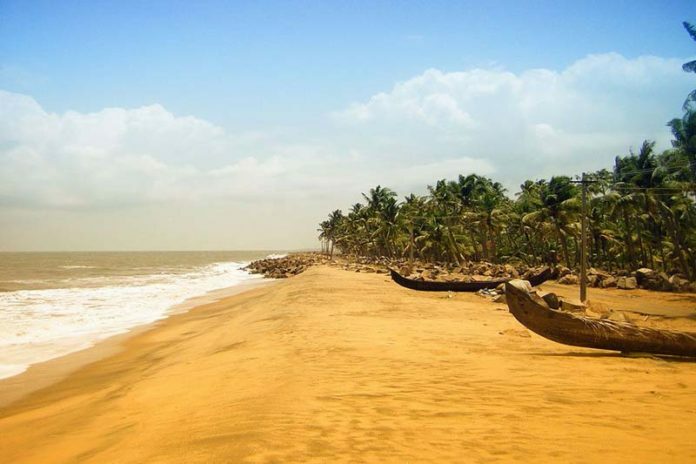 Wonderful yet Lesser Known Beaches of Kerala : Wanderlust is not just a word. It is an emotion for those who like to travel. Be it on a honeymoon trip or a trip with your family or friends, beaches will always have a special place in your heart. The lazy afternoons, cool breeze, shadows of palm trees and the serene, limitless water ahead makes the best setting for a perfect vacation. Kerala has always been a delight for tourists, but there is a twist here. You may have heard about some of the most popular beaches in Kerala like the Payyambalam Beach or Kovalam Beach or Bekal Beach, but what you do not know are the beaches that are lesser known to the tourists. Just off the grid of Kerala lies the beautiful Kappil Beach which is just at a distance of 7 kms from Varkala. Flanked by the Arabian Sea, this beach has mesmerizing views and the coconut groves will give you the thrills and glide you to a dreamy world throughout your stay. The aesthetic feel of the beach is perfect and you can have a great time with your family or partner in the beautiful small cottages that are available for hire. Kizhunna and Ezhara are two separate beaches that are collectively named together and they are a treat to any person who loves sand and sunsets and blue waters of the sea. Located at a distance of 12 km from Kannur, this beach has hardly been touched by the tourists and therefore is very clean and tranquil in nature. Mild waves, lovely rocks and sandy shores will make your time fly and you can make use of the bay to have sun bath or take a swim in the warm sun-soaked water. Another marvelous beach in Kannur, Ezhimala being a hillock at a height of 286 m brings in the raw flavor of Kerala that you so often miss out. The greenery around together with carved stone pillars and ancient burial chamber will make your stay in this place surreal. Once you get a hotel to stay nearby, you can spend the entire day and night at the beach enjoying taking strolls or just gazing at the blue serene water. The waters are simply alluring and your stay will be just majestic. Romance is definitely on the cards if you choose Ezhimala Beach as your next destination. If you love swimming and have a thing for the lovely golden sunsets, then Cherai Beach is the best location that you can try without giving any second thought. The lush green palm trees and the beautiful combination of backwaters with the sea will make your MakeMyTrip promo code using which you booked the trip worthwhile. The coastline extends for a whopping 15kms and a stroll with your partner holding hands would be the most romantic time that you have experienced ever. It is common to visit the popular beaches of Kerala, but it would be an adventure and a new experience when you visit the above mentioned beaches which though lesser known are just wonderful and will take you away from the tantrums of daily life. You will definitely have the time of your life here, because Kerala never disappoints. Get more coupons and deals check out CouponDekho.co.in. Next articleWhat is Elisa Test and How useful is Elisa Kit?